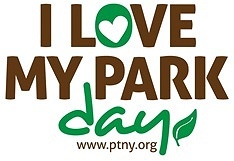 Subject: LongIsland.com - Your Name sent you Event details of "I Love My Park Day 2019 at Caleb Smith State Park Preserve"
Volunteer Project #1: Trail Work: volunteers will be spreading woodchips and or blue stone dust on our walking trails. Volunteer Project #2: Gardening: prep 5 flower beds for planting. Planting flowers in 2 of the beds. Volunteer Project #3: Litter Pick: Picking up trash along our walking trails. (Might be muddy. Please wear appropriate footwear).